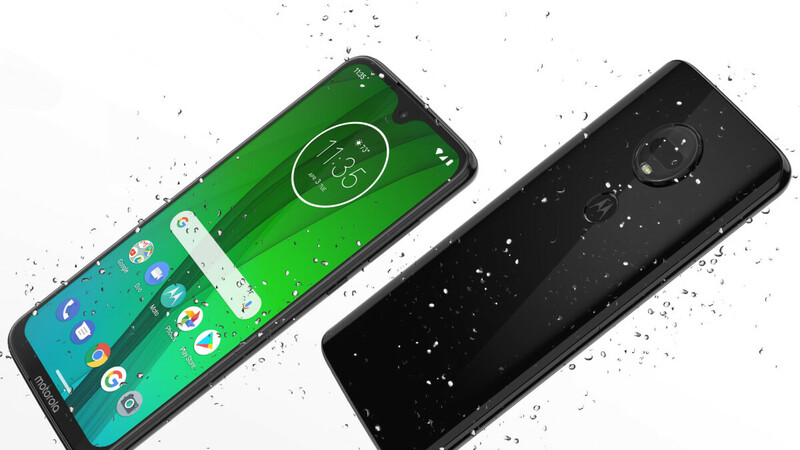 Announced a couple of weeks back and already released in some markets around the globe, the Motorola Moto G7 is - as of today - available for pre-order in the US. The new smartphone comes fully unlocked and, just like most other Moto handsets launched in recent years, it's compatible with all relevant US carriers, including the big four: Verizon, AT&T, T-Mobile, and Sprint. Priced at $299.99, the Moto G7 has a modern design with pretty thin screen bezels, a not-too-intrusive teardrop notch, and a shiny glass back. Running the very latest Android 9 Pie, this new Motorola smartphone offers plenty of nice features for a sub-$300 device. Compared to the Moto G6 of last year, the G7 has a larger display (6.2 inches with 1080 x 2270 pixels) and a more powerful processor (octa-core Qualcomm Snapdragon 632). Also on board are 4 GB of RAM, 64 GB of expandable storage space, and a 3,000 mAh battery that easily lasts a full day. The phone further offers a fingerprint scanner, splash resistance, a dual 12 MP rear camera with 4K video recording, and an 8 MP front camera. You can pre-order the Moto G7 here at Motorola, here at Best Buy, or here at B&H. The handset comes in two color variants (Ceramic Black and Clear White) and will be released on March 7. As you may know, Motorola's 2019 G series of phones also includes the Moto G7 Plus, Moto G7 Play, and Moto G7 Power. The G7 Plus is not made for the US market, but both the G7 Play and G7 Power should be launched stateside in the near future - we'll be here to let you know when that happens. Until then, you might want to check out our Moto G7, G7 Power and G7 Play review. My Moto X4 is almost 2 yrs and I'm really looking forward to buying the Moto G7. Good job, Moto! This is a sad device for the price. Moto G7 Plus with OIS and front 4K recording is slightly better. But as far as sub $300 phones are concerned , Redmi Note 7 is better any day.